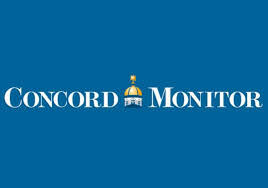 The Concord Monitor and Keene Sentinel have agreed to formally request accident reports from police departments in each newspaper’s coverage area when a police official refuses to release routine pubic information following a crash, including the names of involved drivers. Some police departments are releasing accident information, while others are not. New Hampshire newspapers have yet to receive an adequate legal explanation why these records, and the information they contain, are being withheld. The purpose of the requests is to reveal the various interpretations of why police officials think these are not public documents, serve as material for a Sunshine Week story, and allow us to challenge any denials in court. Any news organization in the state is welcome to participate. Please contact: Jonathan Van Fleet ( jvanfleet@cmonitor.com ) at the Concord Monitor. Here is a sample of one of the requests that has been sent out.